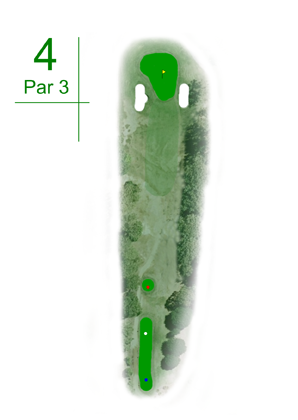 Difficult par 3 requiring an accurate tee shot to a narrow green heavily protected by bunkers, and out of bounds. Wayward shots will be punished. Playing short and relying on a chip and a putt is a good option.